What The Hell Is Going On In The Philippines? 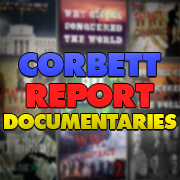 http://www.corbettreport.com/mp3/2016-07-14%20James%20Evan%20Pilato.mp3 This week on the New World Next Week: the US signs on to plans for a UN peace bomb force; military contractors salivate over armed police robot contracts; and a Patriot Act expansion is staved off…for now. 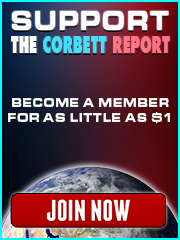 http://www.corbettreport.com/mp3/2016-04-25%20Spiro%20Skouras.mp3 Spiro Skouras joins us today to discuss his recent expose on the UN’s Agenda 2030 global goals, its oiligarch and billionaire backers, and the attempt to take over the world’s oceans. From “no go zones” and hydrocarbon rights to the shady characters and groups that are funding this resource grab, you won’t want to miss this informative interview. http://www.corbettreport.com/mp3/2015-10-23%20James%20Evan%20Pilato.mp3 This week on the New World Next Week: COP21 cometh as the UN prepares a global climate court; the Indonesia forest fire no one’s heard of rages out of control; and maker creates open source ecology revolution.